Harrod Sport ® Hole Flags are sold in sets of 9 and are ideal for pitch and putt. Strong steel golf flag 450mm high complete with integral lifting loop. 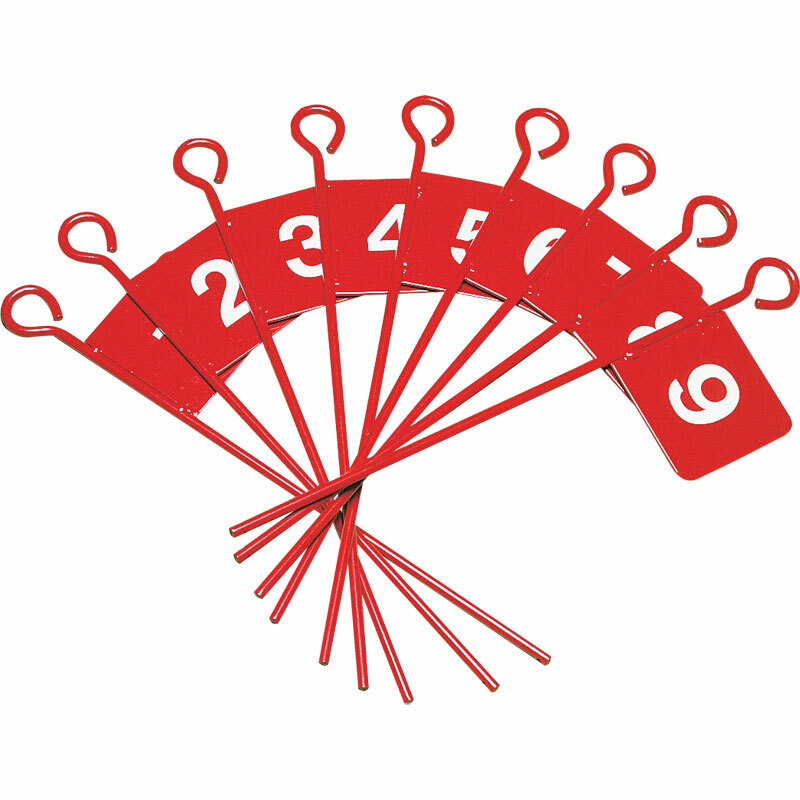 Red polyester powder coated with white numbers. For use with metal hole case only. Perfect. They are what it says on the tin. Solid, quality. Work well with the suggested golf hole product. We've used the flags in our back garden and are a great addition, if a little eccentric, to our garden. The flags are well constructed and look greats from a distance. Only gripe is that the painting for the numbers is a little inconsistent.